Orange Glad Sweet Box is a subscription that allows you to get all those fashionable cavities you have been wanting but just haven’t had the time to get. They strive to bring interesting and gourmet sweets right to your doorstep all for the price of about $15 a month plus shipping. There are many codes and different options you can sign up for so keep an eye out! I first starting getting subscription boxes I would think to myself that a sweets box would be the last think I would want. I mean, yeah, I like sweets but they are all over the place. Now I finally understand. The joy that Orange Glad brings is the discovery of new bakeries and treats that you would otherwise might not ever get a chance to try. 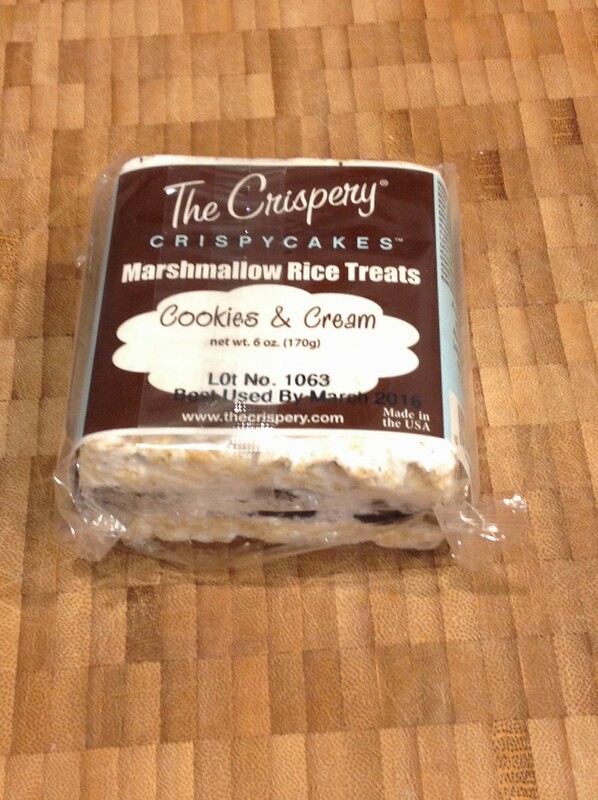 The Crispery – Cookies and Cream CrispyCake: What are you trying to do to me here Orange Glad? I was already excited about the box arriving and seeing this made me feel sorry I opened it in front of anyone. I mean now I was going to have to share it. There is no way this treat was going to go unnoticed! In the future I am going to open this box in private so that I can hide treats to eat when I binge watch teen shows like Reign in private where not even my cat will see. So yummy that I didn’t even feel bad when I noticed they had included the calorie count! 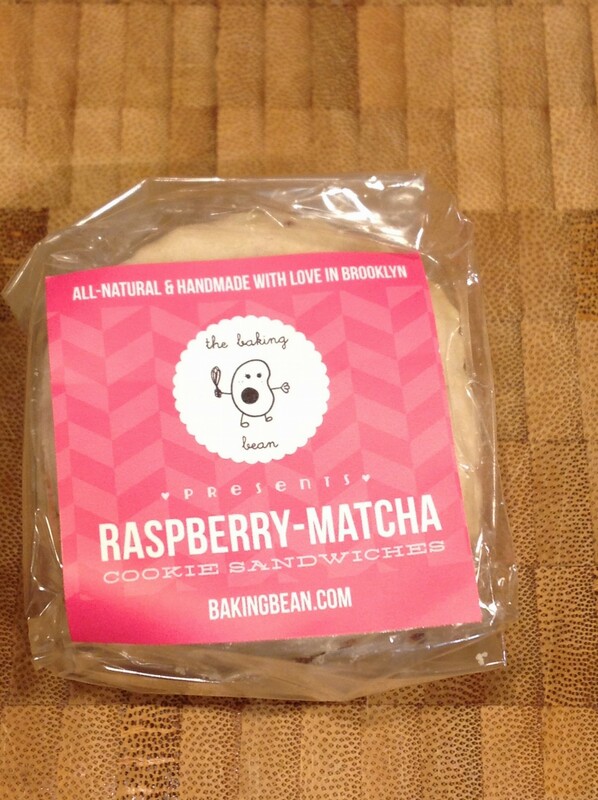 The Baking Bean – Rasberry-Matcha Cookie Sandwhich: The bean mascot looks super angry to bake for me. Reminds me of my mom when I told her I had to bring cupcakes for my class the night before I was supposed to bring them in. I am sure it crossed her mind to chase me around with a whisk. Too bad I was a squirrelly energy filled kid who she had very little chance of catching! 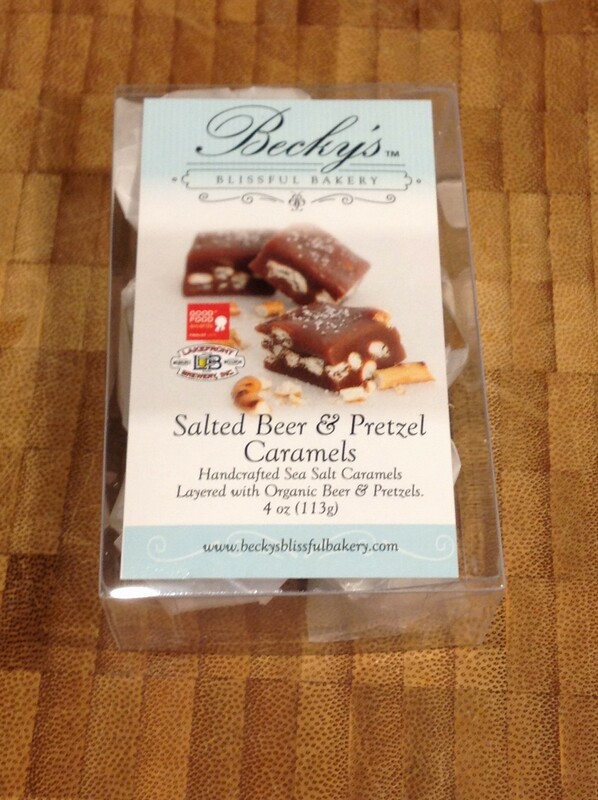 Becky’s Blissful Bakery – Salted Beer and Pretzel Caramel: How could you not like these? They are tasty goodness! If these were in one of those “take one” candy jars I would take at least three. I would try to do it quickly so as not to shame myself because I am not an animal. I would however resemble a chipmunk when I ate them in the car. The baker who created these did so under the hardship of losing her job and going through a divorce in the same week. Her triumph over her situation makes these taste all the more awesome! 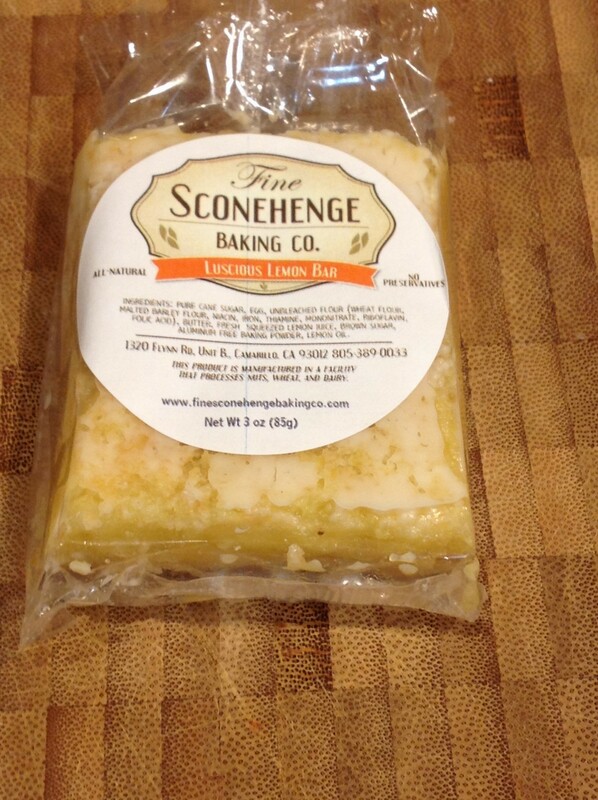 Fine Stonehenge Baking Co – Luscious Lemon Bar: When I picked up this lemon bar I was surprised with how heavy it was. A whole lotta luscious indeed! I felt like I could have had a wee bit more lemon. Probably because it had such a rich buttery crust. I would not turn this treat down ever. It really is a great summer dessert! I wish my home were made of lemon bars, it would always smell nice and would be so very, very, yummy! 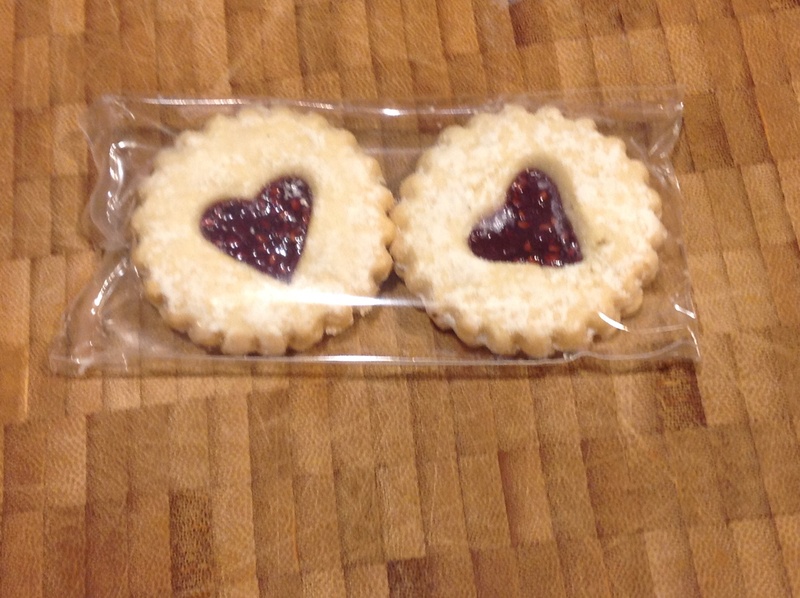 Cookies Con Amore – Italian Jelly Filled Linzer: These were a huge surprise for me because they were my favorite. I cannot believe how good these are! They have a buttery cookie flavor, and it mixes with the delicate jam flavor to make perfection. I am surprised more reviewers aren’t going insane over these! 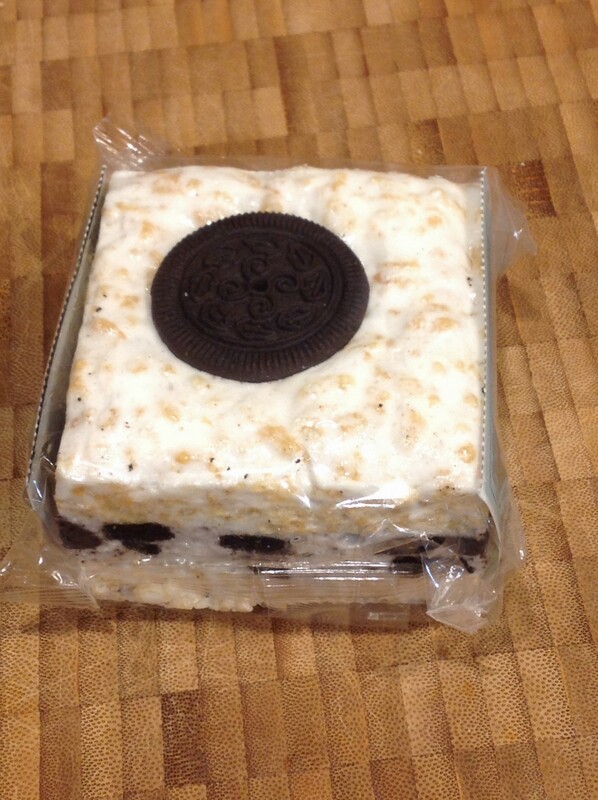 While these treats don’t have the attention grabbing packaging, they do look really cute. I am sad I only had two of them but my growing waistline thinks it is for the best. They are made in Vista CA which is not that far from me. Road trip? 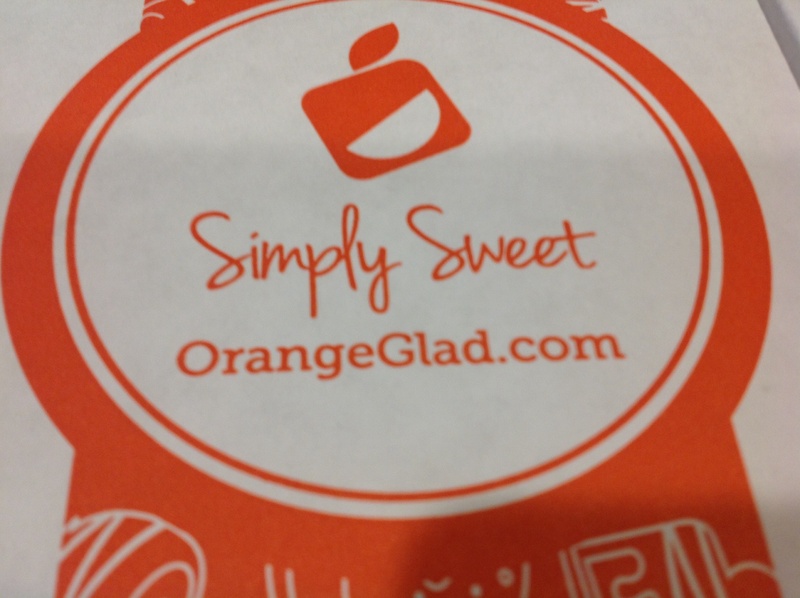 Verdict: Safe to say I remain a fan of Orange Glad Sweet Box. I know people are caught up on the value of items and I get that. I don’t really get hung up on them because I decide the value things have to me personally. Getting sweets in the mail from places I have never heard of and treating myself to them is worth a lot in my book. It is fun to share and to read the story behind each item which I argue burns calories. In all this month was a win! Note: My referral code is in the linked portions of this review. If you sign up through it you get $10 toward your box and I get $10 toward future boxes. If you decide you don’t want to click on them then you can go to www.orangeglad.com. I pay for my own boxes (every single one of them) and every opinion is 100% mine or my cats. You make it hard to resist the box. I almost swap my Deux Lux passport holder for the Cookies and Cream CrispyCake and a couple little things. I would have to hide the box and make sure no one knew I was subscriber. That box would be gone in a minute in my house. I would say it is the perfect sneaking off to your room, watching netflix, and snacking box. 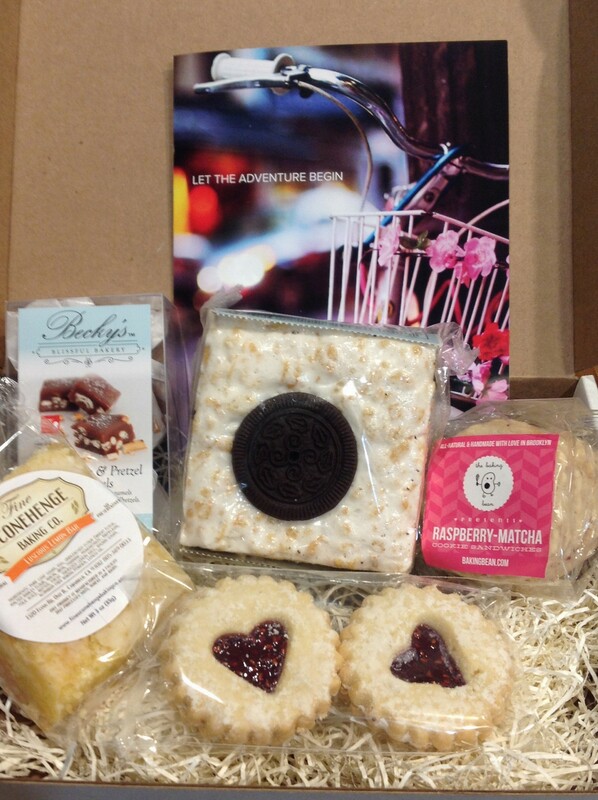 This months box had such heavy treats I that it was shareable… But why would I do that??. I need to catch up on my email. I’m a sitting duck when I am on the computer especially now that school is done. I did email the rest of the items that needed to ship Ground. I added in all the volume items that I received in the past year. It’s arriving in the Nina Garcia box. I didn’t check for expiration dates on the other items. I hope nothing is expired. I’m sorry if I did send something expired. I should had checked. My doggie came out to nudge me into bed. She can’t sleep until everyone is in their proper sleeping spots. Time for bed. I shipped, not emailed you the items LOL. Really? I feel the same way. I don’t enjoy swapping on MSA. Your dog is beyond cute!!! I need to get a box out to you the second I get my last loot crate. I need to wear the crown around this weekend for no reason. Love it! I can’t wait to read it. Have you heard about the mini box. I tried to find it using your link and wasn’t able. I sort of want to sign up for the double box but I know I shouldn’t! I can’t find the sweet box mini on the website. It’s $12 shipped. I should delve deeper in this. Maybe I could “share” one box and then use it as a distraction when I hide my very own mini one? Do you think my cat would rat me out?